Medical Politics And Health Reform Challenges Or Universal Healthcare.. Stock Photo, Picture And Royalty Free Image. Image 66734142. 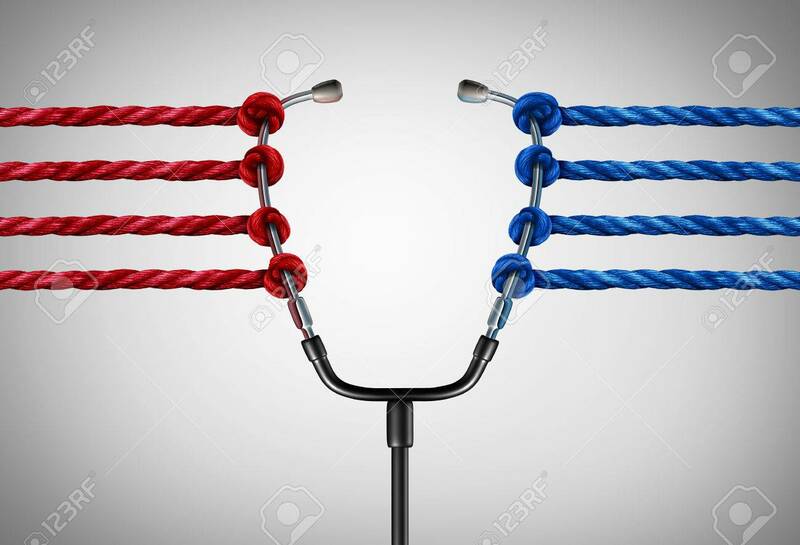 Illustration - Medical politics and health reform challenges or universal healthcare system stress concept as a group of opposing ropes pulling on a doctor stethoscope as a medicine management symbol with 3D illustration elements.